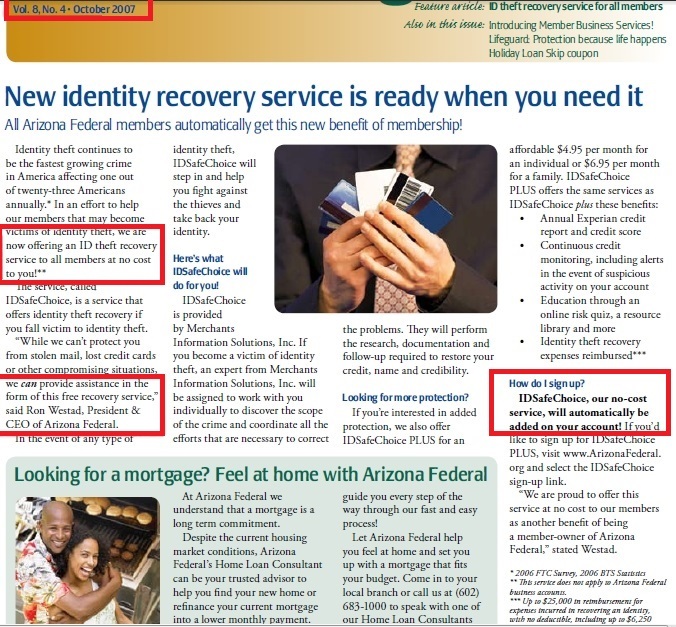 Arizona Federal Credit Union’s ID Protect Service, was free in 2007, $1.95 in 2012 as an option, but now they claim it is worth $15 or more. | Arizona Federal Credit Union has a new $3 Monthly Membership Fee! Greedy fatcat managers are forcing members to pay a mandatory $3 ripoff fee every month, simply for being a member. That's not mutually beneficial. Instead of charging only those members who partake in certain services, instead it seems that Arizona Federal Credit Union is going to charge EVERYONE of “Us” for using those services, whether we are interested or not! To show how much Arizona FCU “cares” about us, their PR mouthpieces are on a re-education campaign. What was worth $1.95/month last year to only the members who wanted to buy ID Protect, is suddenly worth $15/month, and ALL members get it, whether they want it or not! For example, in 2012, one could optionally buy the ID Protect Service from Arizona FCU for $1.95 per month, if you had a checking account. Now that all members get it as a part of US, as of January 2013, it is suddenly magically worth $15. WHO ARE YOU FOOLING, Arizona FCU! As of January 2013, ALL members are effectively forced to buy ID Protect, since it’s “included for free” as part of the $3 monthly dues. 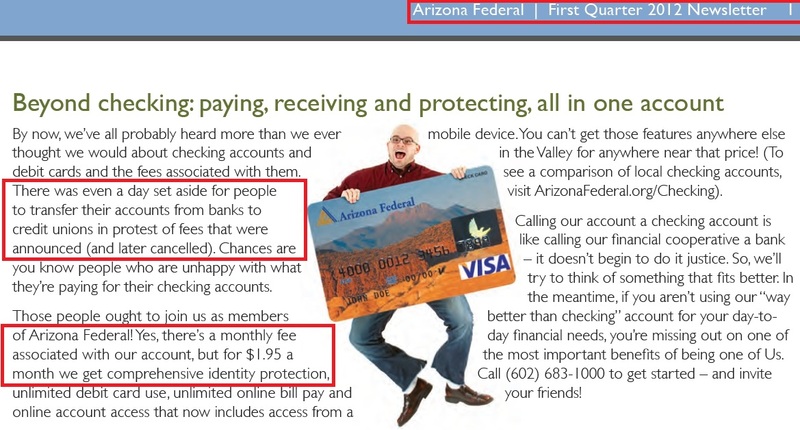 According to Arizona FCU’s own words, 127,000 of the 162,000 members have checking accounts. 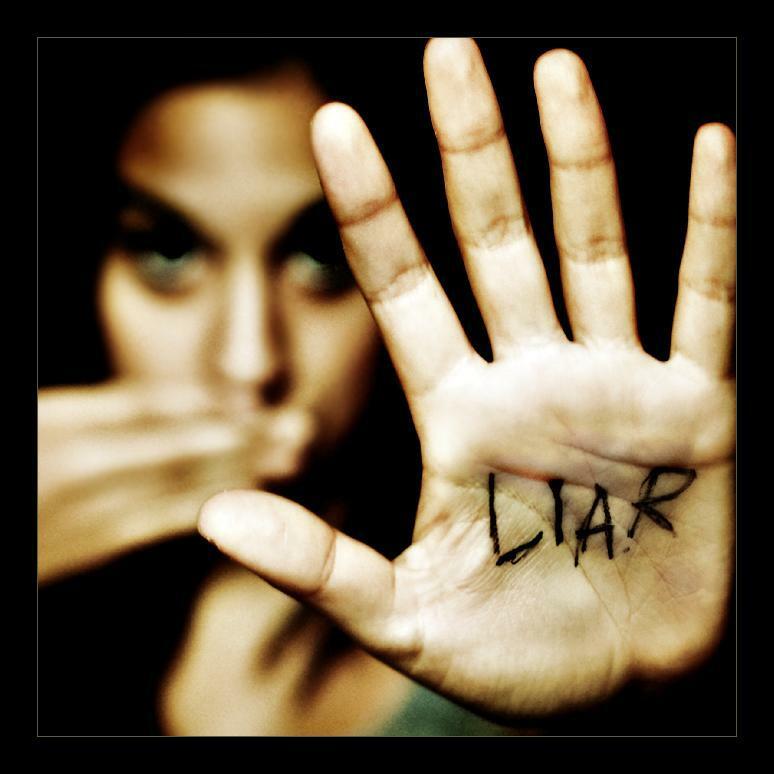 Arizona FCU did not disclose how many of them subscribed to the ID Protect service in 2012. Here is the statement on ID Protect on the website in 2013, claiming its average cost in the market is $15 a month. That’s clearly untrue, since Arizona FCU was selling it as an option for $1.95 in 2012! Whether you’ve personally been a victim or know someone who has, we can all agree that identity theft is a problem. We have the solution: ID Protect™ – an identity theft protection and resolution service. And now it’s included in your membership as one of US at no extra charge! Our comprehensive service provides US with coverage for ourselves and our families. It also includes automated alerts, reimbursement coverage and the ability to access our credit reports (and scores). When you compare our coverage to comparable products available in the market, their cost average is about $15 a month – and that’s only for individual coverage. Some of us may have a similar service elsewhere and that’s okay. But, if you’re paying for that other service, why not consider our coverage since it’s included in your membership here? It’s comforting being one of US! We’re taking a proactive approach to protect our members from identity theft! What would you do if someone bought a car in your name, had a medical procedure using your medical insurance or even committed a crime under your identity? Where would you begin? Sadly, things like this happen every day – but with IDProtect™, you’ll have a place to start. With one phone call to IDProtect, a dedicated fraud specialist will be assigned to manage your case. They’ll help you contact the appropriate parties and agencies (or contact them for you when possible) to get your situation resolved. It doesn’t matter if the fraud occurred on an Arizona Federal account or not – you’re covered regardless of where the fraud occurred. IDProtect protects you, not just your account with Arizona Federal. In addition to resolution services, IDProtect includes services that help you to proactively monitor your credit report and other records to catch attempted fraud before it begins, or as soon afterward as possible to limit the damage. You won’t find a more inclusive service available for such a low a price. IDProtect is available to Arizona Federal members with an eligible checking account for just $1.95 per month. Isn’t that worth the peace of mind? Compare these features to any program in the marketplace! •	Total Identity Monitoring of over 1,000 databases including credit, Social Security, public records, real property records, telephone and many others. If your risk is rated at medium or high, you will be notified of the possible breach. Now you can receive security and peace of mind for you and your familyii for just $1.95 per month! A $1.95 Security Fee will be deducted from your account on the 15th of each month and will apply to coverage for the current month. How do I activate the credit and identity monitoring services? Visit http://www.IDProtectMe247.com and input the access code that you received in the mail or at the time of account opening. If you no longer have this code, please contact us at (602) 683-1000 and we can provide it to you. Can I purchase IDProtect if I don’t have a checking account? No. You must have a personal checking account with Arizona Federal in order to participate in the IDProtect service. You can open a checking account at any Arizona Federal branch location. How do I cancel the IDProtect Service? You can cancel the service by calling us at (602) 683-1000 or by visiting any branch location. How much is the IDProtect Service? I received multiple mailings – do I need this coverage on each account? No, the coverage is provided to you and your familyii and is not limited to a particular account number. You may choose which account to deduct the fee from, and cancel the others. We did suppress the offer from a large number of accounts to minimize duplication, but we were unable to determine the nature of many account relationships through an automated process. iiIdentity Theft Insurance underwritten by insurance company subsidiaries or affiliates of Chartis Inc. The description herein is a summary and intended for informational purposes only and does not include all terms, conditions and exclusions of the policies described. Please refer to the actual policies for terms, conditions, and exclusions of coverage. Coverage may not be available in all jurisdictions. Insurance coverage is provided by Arizona Federal Credit Union to personal checking account owners at no additional cost. You may request a copy of the Certificate of Coverage by calling (602) 683-1000. October 2007 free ID theft recovery. This entry was posted in angry members, principles, values, listening to members and tagged $1.95, $3, Arizona, credit, director, FEDERAL, guard, https://www.idprotectme247.com, id, identity, IDProtect, idprotectme247, idprotectme247.com, kelley, marketing, protect, protection, senior, steve, steve kelley, theft, union. Bookmark the permalink.